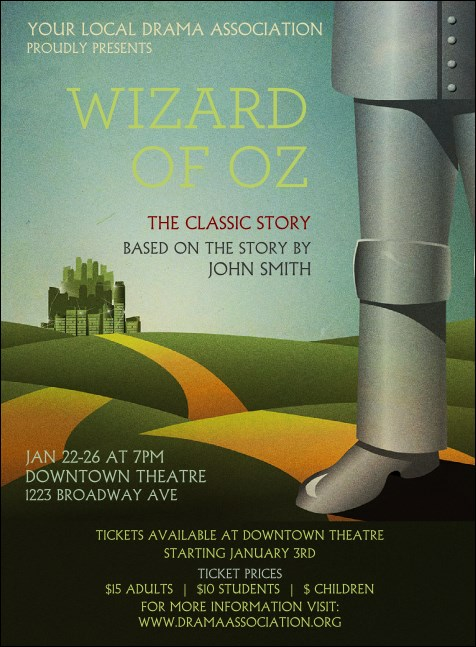 Invite fans from Munchkinland, the Emerald City, and Kansas with the colorful Wizard of Oz Invitation. A yellow brick road sets the stage in this classic template, with room for sixteen lines of performance details. Coordinate your promotions with tickets, flyers, and VIP passes in a Matching Event Kit. RSVP to big adventures with TicketPrinting.com.